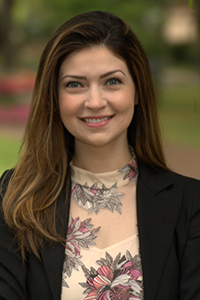 Dr. Estera Zanca, DDS is originally from Romania, but she moved to Dallas when she was 4 years old and has lived in the Dallas/Fort Worth metroplex ever since. She attended the University of Texas at Dallas for her undergraduate degree and Baylor College of Dentistry for her doctor of dental surgery degree. She practiced dentistry in the Dallas area for several years before joining Dr. Mason’s practice as a Grapevine dentist. Dr. Zanca is married to a classical musician, Ion Zanca, who is from Romania as well. Ion performs with the Dallas String Quartet on a regular basis. Dr. Zanca and their little boy love going to hear them perform. In their free time she and her husband enjoy traveling and trying out new restaurants. Dr. Zanca and her family are active members of the Romanian church that her father pastors and of the Watermark Community Church in Dallas. Dr. Zanca will strive to make you visit informative and pleasant. She will listen to your concerns and develop a treatment plan that addresses both your concerns and your needs. You can expect the highest quality of dentistry and you can expect to be treated with honesty and compassion.